Hello boys and girls! 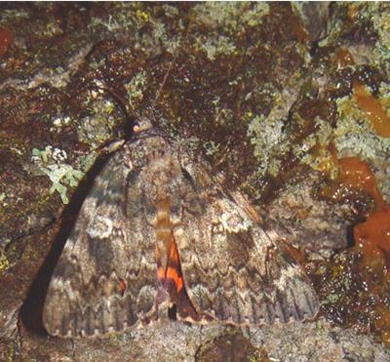 I am an Ilia Underwing. Depending on when you are looking I may still be a caterpillar, or I could be in the midst of my life cycle (metamorphosis), where I can be in my chrysalis, or in my final stage – the moth. After my final transformation I travel very long distances during my migrations between the months of June and September. Because of this long journey, it is very important for me to be able to blend into my environment and have certain adaptations that help me survive. This ability I have, to blend into my environment to avoid predators, is called camouflage. I can physically look like the dead leaves and bark that I like to rest on, but I will also quaver back and forth if I feel threatened. Not only am I able to camouflage myself to my surroundings, but I also have bright warning colors that I will display if I feel threatened. These bright colors warn other animals to stay away from me. These bright colors act as a form of intimidation, because after all I really am not that big! I do this to mimic the movements of dried or dead leaves. This is another example of my amazing adaptations!